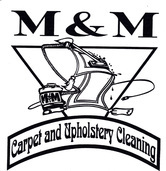 M & M Carpet & Upholstery Cleaning is the primary business for carpet and upholstery cleaning in Kaneohe, HI. Our Kaneohe carpet cleaners possess the skills and expertise to clean carpet by all of the top brand names in the industry. Whether you have wool, sisal, or shag carpet, we can get the job done. Our carpet cleaner in Kaneohe are the best there is. Our aim is to be your one-stop shop for all your Kaneohe, HI upholstery and carpet cleaning service needs. Carpet is the most common floor covering purchase for today’s homes and businesses. It is safe, comfortable, and energy saving. Moreover, carpet offers a surface that is both durable and attractive. It reflects important elements of design and fashion in living and workspaces. Therefore, when it comes to keeping carpet cleaning, it is imperative that you get the Kaneohe carpet and upholstery cleaning contractor who will do the job efficiently. With us, we will not only give you great service, we will also give you a great deal on your home or business carpet cleaning job. Our prices are well below those of our competitors. We guarantee our work 100 percent. Whether you are looking to invest in weekly carpet cleaning service with us or not, we have the stability for the long term or the short term, as well as the carpet cleaning tools, equipment, and eco-friendly carpet cleaning solutions for your specific requests. We value and take care of our customers, both before and after the job. We know that carpeting is a great feature in any home. However, over time, it can really take a beating and lose its original cushion and color. This is prevalent in high traffic areas, such as your hallways and entrances. Stains and dirt accumulation is a problem that cannot always be handled with carpet shampoo and a vacuum. Let us deliver the carpet cleaning service that will have your carpet, and upholstery if needed, looking like it’s brand new. Our crew consists of knowledgeable Kaneohe, HI carpet cleaning professionals. We guarantee your job will be done right the first time. Our mission is to always deliver quality workmanship and services to residents in the Kaneohe, HI area. Our attention to detail before and after the cleaning process, along with the skills of our craftsmen, assures that each carpet or upholstery cleaning project will be a success. Let the specialists at M & M Carpet & Upholstery Cleaning wow you with exceptional carpet cleaning services. As the leading Kaneohe carpet & upholstery contractors, we are committed to delivering total customer satisfaction. During the consultation, we will examine your carpeting, listen to your requests, and give you solutions to get your carpet looking the same as when you first bought it. We will work within your budget to see that all your wants and needs are met. Regardless of the size of your room, area, or space, you can trust us to handle your carpet cleaning job with integrity and professionalism. Whether it's residential, commercial, investment property, or your own home, call us anytime at (808) 518-2588 to schedule an appointment today! We service the entire island of Oahu!